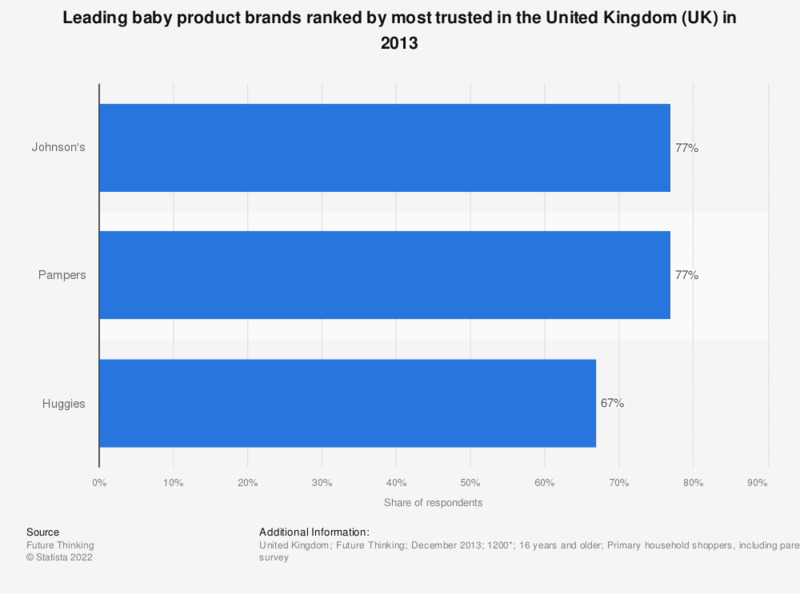 This statistic shows the leading three most trusted baby product brands in the United Kingdom (UK), as of December 2013. According to the survey of shoppers, Pampers and Johnson's are the most trusted brands for baby products, with 77 percent of consumers agreeing so. * n = 1200 primary household shoppers including parents of children aged 0-5. Exact number of responding parents not given.